Darabdhara, G., M.R. Das, M.A. Amin, G.A. Mersal and N.Y. Mostafa et al., 2018. Au-Ni alloy nanoparticles supported on reduced graphene oxide as highly efficient electrocatalysts for hydrogen evolution and oxygen reduction reactions. Int. J. Hydrogen Energy, 43: 1424-1438. Mersal, G.A., N.Y. Mostafa and A.E.H. Omar, 2017. Hydrothermal synthesis and processing of hydrogen titanate nanotubes for nicotine electrochemical sensing. Mater. Res. Express, Vol. 4, No. 8. 10.1088/2053-1591/aa83de. Fayez, K.A., B.A. El-Deeb and N.Y. Mostafa, 2017. Toxicity of biosynthetic silver nanoparticles on the growth, cell ultrastructure and physiological activities of barley plant. Acta Physiol. Plant., Vol. 39, No. 7. 10.1007/s11738-017-2452-3. Badawi, A., E.M. Ahmed, N.Y. Mostafa, F. Abdel-Wahab and S.E. Alomairy, 2017. Enhancement of the optical and mechanical properties of chitosan using Fe2O3 nanoparticles. J. Mater. Sci. : Mater. Electron., 28: 10877-10884. Amin, M.A., S.A. Fadlallah, G.S. Alosaimi, E.M. Ahmed and N.Y. Mostafa et al., 2017. Room-temperature wet chemical synthesis of Au NPs/TiH2/nanocarved Ti self-supported electrocatalysts for highly efficient H2 generation. ACS Applied Mater. Interfaces, 9: 30115-30126. Amin, M.A., M.M. Ibrahim, A.A. Gobouri, G.A. Mersal, N.Y. Mostafa, T. Altalhi and S. Al-Juaid, 2017. A newly synthesized single crystal zinc complex as molecular electrocatalyst for efficient hydrogen generation from neutral aqueous solutions. Int. J. Hydrogen Energy, 42: 25980-25995. Zaki, Z., N. Mostafa, Y. Ahmed, E. Ewais and M. Rashad, 2016. Processing of high‐density magnesia spinel electro‐conducting ceramic composite and its oxidation at 1400°C. Int. J. Applied Ceramic Technol., 13: 662-669. Shaltout, A.A., M.A. Allam, N.Y. Mostafa and Z.K. Heiba, 2016. Spectroscopic characterization of dust-fall samples collected from greater Cairo, Egypt. Arch. Environ. Contam. Toxicol., 70: 544-555. Rizk, M.A. and N.Y. Mostafa, 2016. Extraction and characterization of collagen from buffalo skin for biomedical applications. Orient. J. Chem., 32: 1601-1609. Mostafa, N.Y., M.B. Mohamed, N.G. Imam, M. Alhamyani and Z.K. Heiba, 2016. Electrical and optical properties of hydrogen titanate nanotube/PANI hybrid ‎nanocomposites. J. Colloid Polym. Sci., 294: 215-224. Mostafa, N.Y. and M.M. Kamel, 2016. Enhancement of adhesion bonding between titanium metal and electrodeposited calcium phosphate. Surf. Eng. Applied Electrochem., 52: 520-523. Hessien, M.M., N.Y. Mostafa and O.H. Abd-Elkader, 2016. Influence of carboxylic acid type on microstructure and magnetic properties of polymeric complex sol-gel driven NiFe2O4. J. Magnetism Magnet. Mater., 398: 109-115. Heiba, Z.K., M.B. Mohamed, N.G. Imam and N.Y. Mostafa, 2016. Optical and electrical properties of quantum composite of polyvinyl alcohol matrix with CdSe quantum dots. Colloid Polym. Sci., 294: 357-365. Gado, E.A.M., B. El-Deeb, E.F. Ali, N.Y. Mostafa and S.A. Bazaid, 2016. Evaluation of silver nanoparticles for the control of Phragmidium Species in vitro and taif, rose rust disease in field. Res. J. Pharm. Biol. Chem. Sci., 7: 886-896. El-Deeb, B., H. Elhariry and N.Y. Mostafa, 2016. Antimicrobial activity of silver and gold nanoparticles biosynthesized using ginger extract. Res. J. Pharm. Biol. Chem. Sci., 7: 1085-1091. Amin, M.A., E.M. Ahmed, N.Y. Mostafa, M.M. Alotibi and G. Darabdhara et al., 2016. Aluminum-TiO2 NPs composites as non-precious catalysts for efficient electrochemical generation of hydrogen. ACS Applied Mater. Interfaces, 8: 23655-23667. Mostafa, N.Y., R.A. Garib, Z.K. Heiba, O.H. Abd-Elkader and M.M. Al-Majthoub, 2015. Synthesis of pure zeolite P2 from calcium silicate hydrate; tobermorite. Orient. J. Chem., 31: 1051-1056. Mostafa, N.Y. and Z.M. El-Bahy, 2015. Effect of microwave heating on the structure, morphology and photocatalytic activity of hydrogen titanate nanotubes. J. Environ. Chem. Eng., 3: 744-751. Mostafa, N.Y. and Z.I. Zaki, 2015. Injectable bone cement based on calcium silicate and calcium phosphate. Int. J. Chem. Sci., 13: 80-96. Hemeda, O.M., N.Y. Mostafa, O.H. Abd Elkader, D.M. Hemeda, A. Tawfik and M. Mostafa, 2015. Electrical and morphological properties of magnetocaloric nano ZnNi ferrite. J. Magnetism Magnet. Mater., 394: 96-104. Zaki, Z.I., N.Y. Mostafa and Y.M.Z. Ahmed, 2014. Synthesis of dense mullite/MoSi2 composite for high temperature applications. Int. J. Refractory Metals Hard Mater., 45: 23-30. Mostafa, N.Y., Z.K. Heiba and M.M. Ibrahim, 2014. Structure and optical properties of ZnO produced from microwave hydrothermal hydrolysis of Tris(ethylenediamine)zinc nitrate complex. J. Mol. Struct., 1079: 480-485. Mostafa, N.Y., Q. Mohsen and A. El-Maghraby, 2014. Characterization of low-purity clays for geopolymer binder formulation. Int. J. Minerals Metall. Mater., 21: 609-619. Hemeda, O., N.Y. Mostafa, O.H. Abd Elkader and M.A. Ahmed, 2014. Solubility limits in Mn-Mg ferrites system under hydrothermal conditions. J. Magnetism Magnet. Mater., 364: 39-46. Heibaa, Z.K., N.Y. Mostafa and O.H. Abd-Elkader, 2014. Structural and magnetic properties correlated with cation distribution of Mo-substituted cobalt ferrite nanoparticles. J. Magnetism Magnet. Mater., 368: 246-251. El-Deeb, B., N.Y. Mostafa, S. Tork and N. El-Memoni, 2014. Optimization of green synthesis of gold nanoparticles using bacterial strain Alcaligenes faecalis. Nanosci. Nanotechnol. Lett., 6: 372-384. Amin, M.A., Q. Mohsen, N.Y. Mostafa, N. El-Bagoury and A. Al-Refaie et al., 2014. Case study: Corrosion behavior of constructive alloys in linear alpha olefin environment. Int. J. Electrochem. Sci., 9: 2631-2648. Amin, M.A., Q. Mohsen, N.Y. Mostafa, A. Al-Refaie and A.K. Bairamov et al., 2014. Case study: Impact of amine containing organic compound on the corrosion and electrochemical behaviors of constructive alloys in linear alpha olefin environment. Int. J. Electrochem. Sci., 9: 7552-7573. 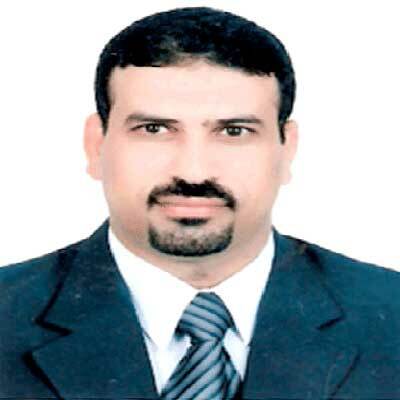 Al-Harbi, M.S., B.A. El-Deeb, N.Y. Mostafa and S.A.M. Amer, 2014. Extracellular biosynthesis of AgNPs by the bacterium Proteus mirabilis and its toxic effect on some aspects of animal physiology. Adv. Nanoparticles, 3: 83-91. Mostafa, N.Y., Z.I. Zaki and Z.K. Heiba, 2013. Structural and magnetic properties of cadmium substituted manganese ferrites prepared by hydrothermal route. J. Magnetism Magnet. Mater., 329: 71-76. Mostafa, N.Y., M.H.H. Mahmoud and Z.K. Heiba, 2013. Hydrolysis of TiOCl2 leached and purified from low-grade ilmenite mineral. Hydrometallurgy, 139: 88-94. Mostafa, N.Y., A.A. Shaltout, L. Radev and H.M. Hassan, 2013. In vitro surface biocompatibility of highly silicon-substituted calcium phosphate ceramics. Cent. Eur. J. Chem., 11: 140-150. Heiba, Z.K., N.Y. Mostafa, M.B. Mohamed and H. El-Harthy, 2013. Structural and magnetic properties of ferromagnetic nano-sized (Ni1-xCox)0.85Se prepared by simple hydrothermal method. Mater. Lett., 93: 115-117. Heiba, Z.K., L. Arda, M.B. Mohamed, N.Y. Mostafa and N. Dogan, 2013. Effect of annealing temperature on structural and magnetic, properties of Zn0.94Co0.05Cu0.01O. J. Superconductivity Novel Magnetism, 26: 3487-3493. El-Deeb, B., N.Y. Mostafa, A. Altalhi and Y. Gherbawy, 2013. Extracellular biosynthesis of silver nanoparticles by bacteria Alcaligenes faecalis with highly efficient anti-microbial property. Int. J. Chem. Eng., 30: 1137-1144. Zaki, Z.I., N.Y. Mostafa and M.M. Rashad, 2012. High pressure synthesis of magnesium aluminate composites with MoSi2 and Mo5Si3 in a self-sustaining manner. Ceramics Int., 38: 5231-5237. Shaltout, A.A., M.A. Moharram and N.Y. Mostafa, 2012. Wavelength dispersive X-Ray fluorescence analysis using fundamental parameter approach of Catha edulis and other related plant samples. Spectrochim. Acta Part B: Atomic Spectrosc., 67: 74-78. Radev, L., N.Y. Mostafa, I. Michailova, I.M.M. Salvado and M.H.V. Fernandes, 2012. In vitro bioactivity of collagen/calcium phosphate silicate composites, cross-linked with chondroitin sulfate. Int. J. Mater. Chem., 2: 1-9. Mostafa, N.Y., M.M. Hessien and A.A. Shaltout, 2012. Hydrothermal synthesis and characterizations of Ti substituted Mn-ferrites. J. Alloys Compounds, 529: 29-33. Aljuraide, N.I., M.A.A. Mousa, N.Y. Mostafa, G.A. El-Shobaky, H.H. Hamdeh and M.A. Ahmed, 2012. Microstructure analysis of zinc ferrite nanoparticles by means of X-ray powder diffraction and Mossbauer spectroscopy. Int. J. Nanoparticles, 5: 56-63. Ahmed, R.G. and N.Y. Mostafa, 2012. Effect of post synthesis hydrothermal treatment on thioglycolic acid-capped CdSe quantum dots. Mater. Sci. : Indian J., 8: 482-487. Shaltout, A.A., M.S. Abdel-Aala, N.Y. Mostafa, 2011. The validity of commercial libs for quantitative analysis of brass alloy-wdxrf and AAS. J. Applied spectrosc., 78: 594-600. Mostafa, N.Y., H.M. Hassan and O.H.A. Elkader, 2011. Preparation and Characterization of Na+, SiO44<− and CO32− Co-Substituted Hydroxyapatite. J. Am. Ceram. Soc., 94: 1584-1590. Abdel-Aal, M.S., A.A. Shaltout and N.Y. Mostafa, 2011. Spectroscopic study of heavy metals at different depths in southeastern soil of nile delta Egypt. Spectrosc. Lett., 44: 186-193. Shaltout, A.A., N.Y. Mostafa, M.S. Abdel-Aal and H.A. Shaban, 2010. Electron number density and temperature measurements in laser produced brass plasma. Eur. Phys. J. Appl. Phys. vol 50. 10.1051/epjap/2010029. Mostafa, N.Y., Q. Mohsen, S.A.S. El-Hemaly, S.A. El-Korashy and P.W. Brown, 2010. High replacements of reactive pozzolan in blended cements: Microstructure and mechanical properties. Cement Concrete Composites, 32: 386-391. Mostafa, N.Y., A.A. Shaltout, M.S. Abdel-Aal and A. El-maghraby, 2010. Sintering mechanism of blast furnace slag-kaolin ceramics. Mater. Des., 31: 3677-3682. El-Shobaky, G.A., A.M. Turky, N.Y. Mostafa, S.K. Mohamed, 2010. Effect of preparation conditions on physicochemical, surface and catalytic properties of cobalt ferrite prepared by coprecipitation. J. Alloys Comp., 493: 415-422. El-Maghraby, A., M.A.A. ElMaaty, G.A. Khater and N.Y. Mostafa, 2010. Utilization of grantitoid rocks in taif area as raw materials in ceramic bodies. J. Am. Sci., 6: 779-809. Mostafa, N.Y.A., A. Shaltout, H. Omar and S.A. Abo-El-Enein, 2009. Hydrothermal synthesis and characterization of aluminium and sulfate substituted 1.1 nm tobermorites. J. Alloys Compd., 467: 332-337. Mostafa, N.Y., H.M. Hassan and F.M. Hassan, 2009. Sintering behavior and thermal stability of Na+, SiO44- and CO32- co-substituted hydroxyapatites. J. Alloys Comp., 479: 692-698. Mostafa, N.Y., E.A. Kishar and S.A. Abo-El-Enein, 2009. FTIR study and cation exchange capacity of Fe3+- and Mg2+-substituted calcium silicate hydrates. J. Alloys Comp., 473: 538-542. Mostafa, N.Y., H. Omar and S.A. Abo-El-Enein, 2008.. Sulfate attack on pure calcium silicate hydrates phases. Silicate Ind., 73: 117-123. Kisharm, E.A. and N.Y. Mostafa, 2008. Hydration reactions of alite in different systems. Silicate Ind., 73: 63-67. El-Shobaky, G.A., A.M. Turky, N.Y. Mostafa and S.K. Mohamed, 2008. Effects of pH and temperature of coprecipitation and thermal treatment on some physicochemical, surface and catalytic properties of nano-sized zinc ferrite. Egypt. J. Chem., 51: 837-850. Mostafa, N.Y., H.M. Hassan and F.M. Hassan, 2007. Synthesis and characterization of multi-substituted hydroxyapatite powders at physiological temperature. Egypt. J. Applied Sci., 23: 116-127. Mostafa, N.Y. and P.W. Brown, 2007. Computer simulation of hydroxyapatite structure and substitution. J. Phys. Chem. Solid, 68: 431-437. Mostafa, N.Y. and E.A. Kishar, 2007. The hydration of cements containing air-cooled and water-quenched blast furnace slag. Silicate Industrials, 72: 125-131. Mostafa, N.Y., E.A. Kishar and S.A. Abo-El-Enein, 2006. Influence of Fe2OM3 and MgO as mineralizers for tobermorite synthesis. Mater. Sci. Ind. J., . Mostafa, N.Y., 2005. Characterization, thermal stability and sintering of hydroxyapatite powders prepared by different routes. Mater. Chem. Phys., 94: 333-341. Mostafa, N.Y. and P.W. Brown, 2005. Heat of hydration of high reactive pozzolans in blended cements: isothermal conduction calorimtry. Thermochim. Acta, 435: 162-167. Mostafa, N.Y., 2004. Influence of air-cooled slag on physico-chemical properties of autoclaved aerated concrete. Cem. Concr. Res., 35: 1349-1357. Mostafa, N.Y., S.A.S. El-Hemaly, E.I. Al-Wakeel, S.A. El-Korashy and P.W. Brown, 2001. Hydraulic activity of water-cooled slag and Air-cooled slag at different temperatures. Cem. Concr. Res., 31: 475-484. Mostafa, N.Y., S.A.S. El-Hemaly, E.I. Al-Wakeel, S.A. El-Korashy and P.W. Brown, 2001. Characterization and evaluation the pozzolanic activity of egyptian industrial by-products: I- silica fume and dealuminated kaolin. Cem. Concr. Res., 31: 467-474. Mostafa, N.Y., S.A.S. El-Hemaly, E.I. Al-Wakeel, S.A. El-Korashy and P.W. Brown, 2001. Characterization and evaluation of the hydraulic activity of water-cooled slag and air-cooled slag. Cem. Concr. Res., 31: 899-904. Mostafa, N.Y., S.A.S. El-Hemaly, E.I. Al-Wakeel, S.A. El-Korashy and P.W. Brown, 2001. Activity of silica fume and dealuminated kaolin at different temperatures. Cem. Concr. Res., 31: 905-911. Al-Wakeel, E.I., S.A. El-Korashy, S.A. El-Hemaly and N.Y. Mostafa, 1999. Promotion effect of C-S-H-phase nuclei on building calcium silicate hydrate phases. Cem. Concr. Compos., 21: 173-180. El-Hemaly, S.A., E.J. Al-Wakeel, S.A. El-Korashy and N.Y. Mostafa, 1998. Influence of CaO/SiO2 ratio and storage conditions of CaO on silica-lime-wate system under hydrothermal treatment. J. Ind. Chem. Soc., 75: 357-359.